You can contact us any time by eMail via info@magneticum.org or directly contact the authors of the individual papers. Within the Data section we are providing free access to various data products derived from the simulations. This included light-cone data but also data for individual objects or general tables. They are coming mostly from publications but some are also provided additionally to serve the community, especially providing mock data for current/future missions like SPT, PLANCK, eROSITA, Athena and EUCLID. They come wih README files to describe their content in more detail. Additionally we provide data products on request, so do not hesitate to contact us. The halo database will allow you to query halos and their properties based on their merger tree data. The interface comes with some example queries to demonstrate how to use it. It allows to querey objects based on the actual properties ore even on their formation history. 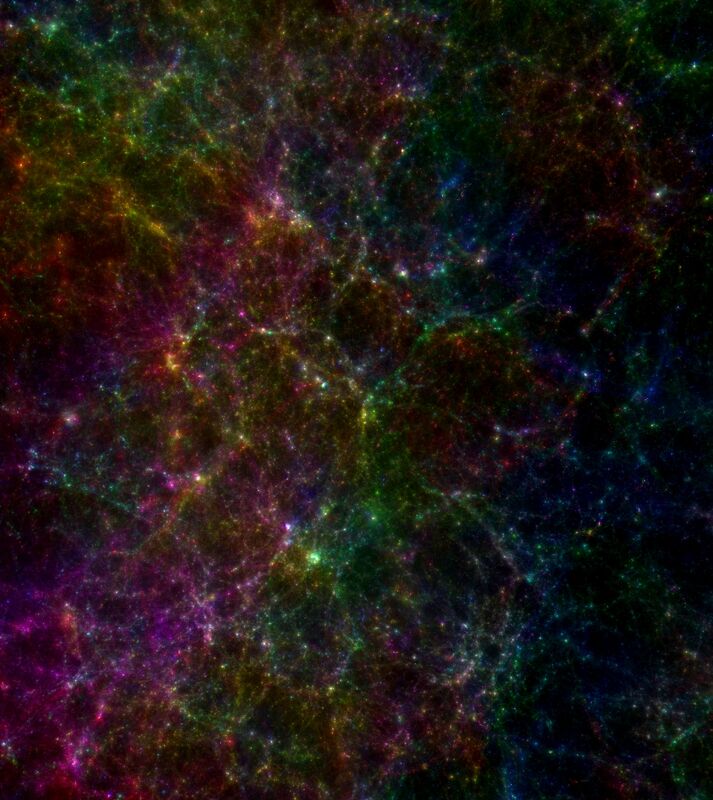 Querying the different simulations allows to cross link objects between different resolutions or between the full physics and the dark matter only control simulations. The Map making allows you to make 2 dimensional projections (maps) of physical (e.g. density, temperature, etc) or observational (e.g. X-Ray surface brightness, compton Y) quantities of any object within the simulations using SMAC. The results are returned as standard fits file. Making use of PHOX, you can receive a photon list of any object in the simulation as obtained by various X-ray instruments. The result is returned as fits file, similar to a real event file. We are working hard to make all these services for the Magneticum Pathfinder simulation set available. Currently, there are only proto types available which are working on smaller sets of previous simulations. On the long term, we plan to provide a tool in the VOs section which allows to obtain a subregion of every simulation in form of a Gadget compatible snapshot file. For the moment, we provide the access to the full simulation output on request. Please contact us in case.